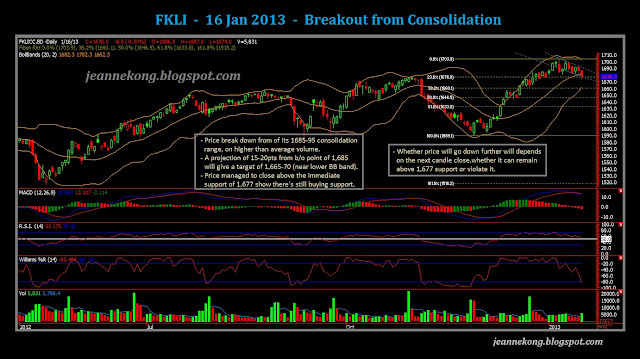 Today see FKLI broke its 1685-95 consolidation range, downside, to low of 1,674, before finding support on the mid-band & close above it at 1,678.5. Volume start increasing to above 5d-average, show higher participation in the selling down. Hence, price may continue down further from here, look for a projected target of 1,665-70, for the moment. Whether the correction can continue further will have to see if the mid-band can support the price for over next few days. Violation of the mid-band at close will bring in further sellers, thus accelerating the drop. 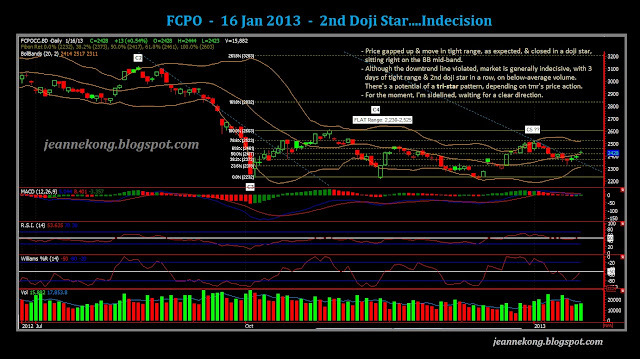 CPO did moved in an even tighter range today, & close in a perfect doji star. 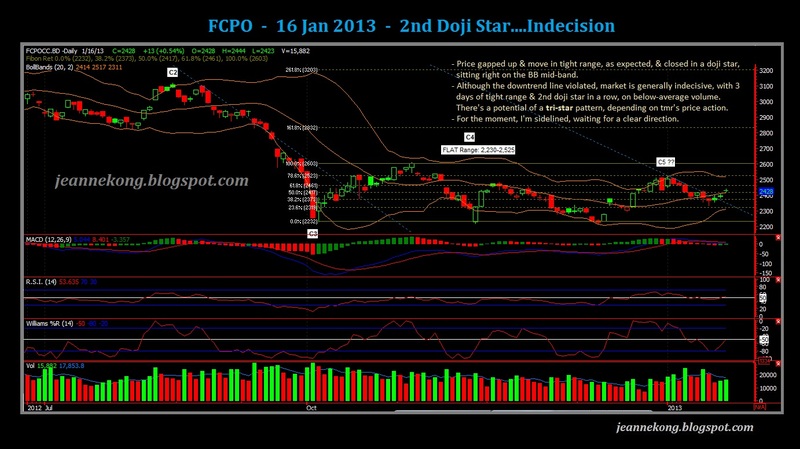 Now that there's two doji stars in a row, we are all set up for a third star tomorrow, for a potential Tri-Star pattern. Though we see price violated the downtrend line two days ago, there isn't much participation as volume is still below average, though risen a little today. The Dojis represent indecision in the market, just like me having no idea which direction is the market going. Being indecisive, I'll stay sidelined until the market gives me strong signal of a trend forming, whether a reversal or continuation.